How Much Windows 10 Facts Do You Really Know? We’ve all been using Windows 10 for almost 2 years now and aside from knowing that it’s going to be the last Windows version, what else do you know about it? It’s easy to just keep using something that is really important to us without questioning some aspects of it. For instance, we all use MSG on our food without paying attention on some medical facts that is there. Facts that say it is quite harmful to the human body. The same is true with Windows 10. It’s been running on our PCs, smartphones and tablets for a long time now but how much of it do we really know? Challenging your knowledge on this can actually bring more light on some other things that may be a matter of great concern. Why was it offered free? Why is it called Windows 10 and not 9? Have you ever asked yourself these questions? We’ve also had some questions running in our minds about Windows 10 so we’ve done some research about it. If you want to learn more about the operating system that runs in your devices then it’s about time to learn the facts! We found a video that shows what we all need to know about Windows 10. Just hit the play button below to see what they are. Windows has risen back to becoming a favorite to millions of users around the world with the release of Windows 10. However, its popularity has again been tainted with controversy due to the “spying” to it allegedly does on every user.Thankfully with the upcoming release of Creators Update, Microsoft promised that these security and privacy concerns will be take cared of. Microsoft already lost a lot in Windows 8 and Windows 8.1 and they can’t afford to lose even more with Windows 10. They are going to improve the operating system in the upcoming release of Creators Update this spring. Yes! 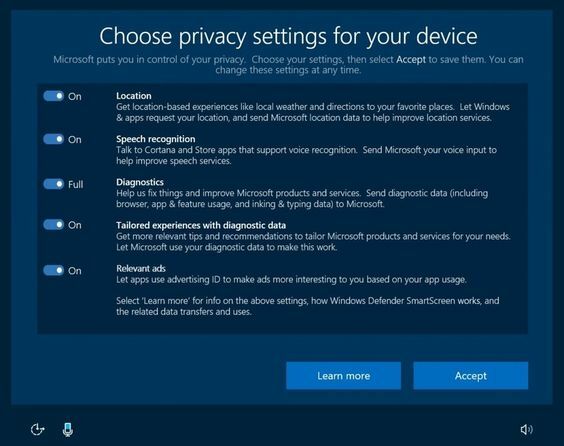 There’s going to be a dedicated settings section for disabling features that are said to allow leakage of private usage stats and other information to Microsoft servers as shown on the screenshot below. However, there are still people who are not convinced with this solution but that’s where everything is pointing to as of now. That’s the best thing Microsoft can do to help people feel safer while using Windows 10. What do you think about this upcoming security and privacy features? Have you disabled them in your Windows machine? Do you feel being spied by Microsoft? Let us know your view on these and the other facts that you’ve learned from the video above by posting your opinions on the comments section below.